There are many different factors to consider when expanding to the US market. You’ll want to research local laws, as well as the American understanding of your product or service. How much demand is there for what you offer? 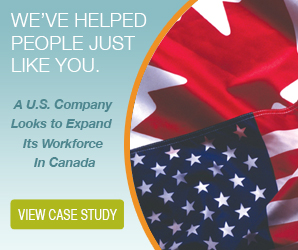 Another challenge of expansion is hiring and paying American employees. Payroll can be challenging in any market, but international employers may be at a loss when following American regulations. If you’re seeking direction, start with this basic guide to American payroll. It outlines the major facets of conducting payroll for your US operations. From this solid foundation, you’ll be able to learn and grow. Many countries, including the United States, have laws regulating compensation. The federal government sets a minimum wage for US employees. Some states also set their own minimums. In most cases, state minimum wages exceed the federal level. Some states don’t set minimum wages. The federal government has no legislation for how often employees must be paid. In the absence of a law, you can choose how often you want to conduct payroll. You could conduct it once a week, once a month, or even once a quarter if you wish. States do provide regulations on the frequency of pay periods. Depending on where you operate, you may be obligated to conduct payroll on a more regular basis that you might otherwise choose to. The next point in this basic guide to American payroll is taxation and withholding. As in some other countries you may operate in, you’ll be expected to withhold income tax from your employees’ wages. You’ll need to consult with the most current income tax tables, which are published by the IRS. Tax brackets in the US range from about 10 percent to nearly 40 percent. The applicable tax bracket for any given worker depends on how much they earn. Those who make more will be taxed at a higher rate. As the employer, you’ll be responsible for filing certain forms, as well as remitting payroll taxes to the IRS on time. For example, you’ll need to file Form 941 for quarterly reconciliation. Employees must also pay into government-sponsored programs like Medicare and Social Security. You’ll be expected to deduct these premiums from employees’ pay, as well as to provide the employer match portion. In some states, you must collect and remit state income tax. Finally, you should understand the unemployment tax regulations regarding what you may need to collect and remit. How you compensate an employee may be governed by a federal or state regulation. For example, there are laws about when you’ll need to pay overtime. Some employees are exempt from overtime requirements. Termination may be another area of concern. There is no federal law governing how employees are terminated, but individual states can set their own rules. In some places, you may need to pay employees for unused time off. Finally, you’ll want to keep track of paid and unpaid time off. The Fair Labor Standards Act (FLSA) provides little in the way of paid leave. The Family Medical Leave Act (FMLA) provides for 12 weeks of unpaid leave. There are 10 national holidays, but they aren’t paid days off. A basic guide to American payroll can help you get started and stay on track when it comes to paying your employees in the US. Once you’ve mastered the basics, you’ll have an easier time administering payroll.